On July 1st Annika Edlund will take the position as new member of the Astrid Lindgren Memorial Award jury, along with paediatrician Henry Ascher and author and librarian Mats Kempe.The awardoffice caught up with Annika Edlund at her summer holiday home on the coast overlooking the Gulf of Bothnia, to ask her some curious questions. Tell us a little about yourself. Who is Annika Edlund? I’m a librarian, a literary educator and a former primary school teacher. I help run a cooperative book café, and I’m president of an arts association and an association that promotes young writers from Sweden’s north. I’m passionate about literature, children’s arts and adult education. I also write a blog about children’s and young adult literature. It consists mainly of book reviews and provides me with an easy channel for discussing what I’m currently reading with the teachers and educators I encounter in the course of my work. My husband Janne, who’s the shop steward at the Volvo Trucks plant in Umeå, is also a great reader and shares my interest in literature and adult education. We have four children and three grandchildren, who still live in and around Umeå. You’re described as a passionate supporter and readig promoter. What is it that drives you? I just think children’s and young adult literature is so, so important! I really want everyone to take up reading, for the sake of a better life, for the sake of community engagement, for the sheer joy of it. But reading doesn’t promote itself – advocacy is critical, and I want to make people appreciate the importance of reading and embrace children’s books. You have to blow the trumpet for reading all the time. Interest in books among children and young people has fallen dramatically in recent years. In fact, very few of them now go through a book addiction phase. You don’t become a great reader unless you’ve had a great reading experience – and most people don’t get that without help. Adults, teachers and educators must constantly demonstrate the importance of reading. Once you’ve become a book addict, you’re hooked for life. Now that’s a question! The language is important – it should flow well and be poetic. It should be easy to listen to when read aloud. The text should captivate the reader. If it’s a picture book, images and text should interact with each other and with the reading. It’s a great honour, and I’m still a little stunned. It will be fun to learn more about children’s and young adult literature in other languages, and I’m particularly interested in reading promoters and the vital role they play in different parts of the world. I always have a pile of children’s and young adult books saved up, such as Ingelin Angerborn’s Månfågel, Malte Persson’s new picture book and Michael Williams’ Now is the Time for Running. I’m also looking forward to reading Knausgård’s third book and a book called Born to Run, about how to find the soul of running, which my son gave me for my birthday yesterday. New stuff from the ALMA award office, published on YouTube and on our web. An anniversary video with a presentation of all recipients, and, of course, a presentation of this year’s recipient Guus Kuijer. Enjoy! Yesterday, we bloged about the Ingrid Vang Nyman exhibition at Astrid Lindgren’s Näs. Today, a new exhibition about another Astrid Lindgren illustrator opens, this time at the Swedish art, design and architecture museum – Bildmuseet – in Umeå. The subject is the Swedish illustrator Björn Berg (1923-2008), the artist behind some of Sweden’s best known and most beloved book illustrations. Björn Berg is known for the illustrations in Astrid Lindgren’s books about Emil in Lönneberga and Alf Prøysen’s books about Mrs. Pepperpot. 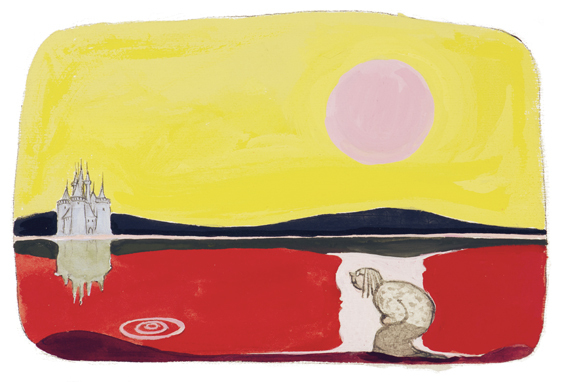 This exhibition focuses on Björn Berg’s fairytale world, but he also illustrated history books and was for many years active as reportage artist at daily newspaper Dagens Nyheter. 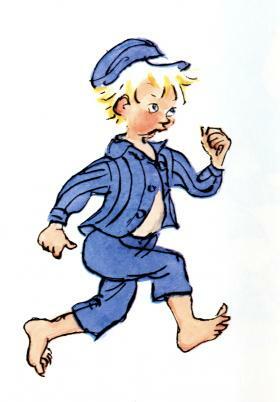 Björn Berg has illustrated all of Astrid Lindgren’s books about Emil in Lönneberga, and one of his Emil illustrations is part of the ALMA logotype. More about Björn Berg at the official Astrid Lindgren web. 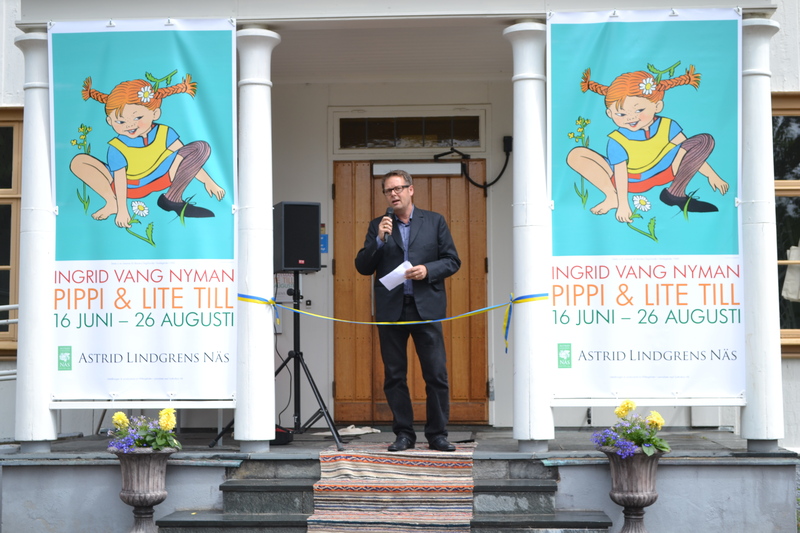 Astrid Lindgren’s Näs in Vimmerby opened their sixth summer exhibition last Saturday. 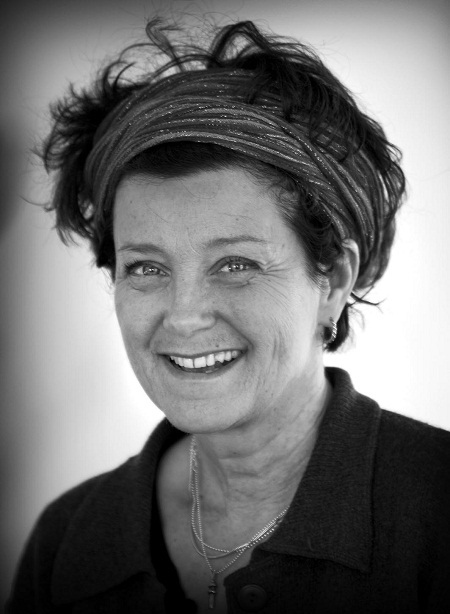 The theme is the works of the artist and children’s book illustrator Ingrid Vang Nyman, mostly known for her illustrations of Pippi Longstocking. 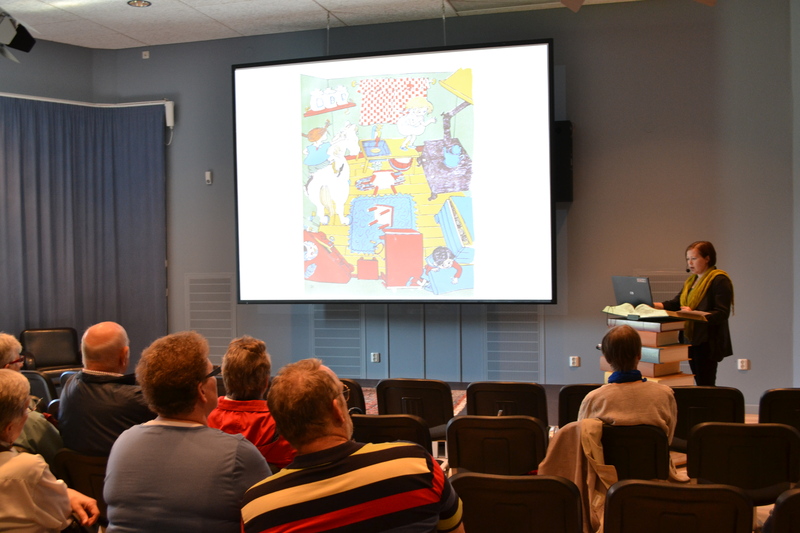 Vang Nyman is also considered to be the one that introduced modernism among the Swedish children’s book illustrators. Some 50 original illustrations are displayed, along with Pippi playing areas for both children and adults. 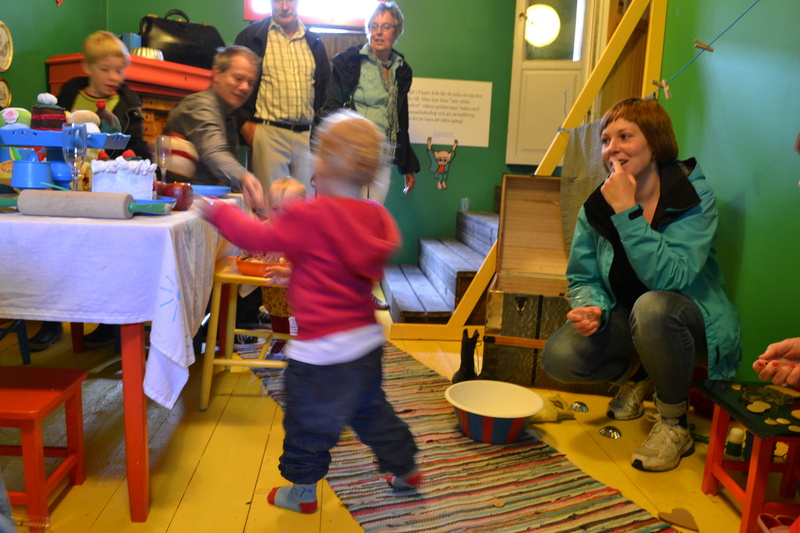 Mikael Ahlerup, Managing Director of the fairytale park Astrid Lindgren’s World, opened the exhibition. Researcher, writer and member of the ALMA jury, Elina Druker, held a lecture about the exhibition protagonist. The exhibition is produced by the art museum Millesgården in Stockholm, in cooperation with Saltkråkan. Guus Kuijer’s speech from the 2012 award ceremony and the presentation of the award by HRH crown princess Victoria now available on the YouTube, along with interviews with jury chairman Larry Lempert and publisher Bärbel Dorweiler from Querido. On Tuesday morning a memorial service for Maurice Sendak was held at the Grace Rainey Rogers Auditorium at the Metropolitan Museum of Art in New York. The legendary author and illustrator, and recipient of the Astrid Lindgren Memorial Award 2003, passed away in May at the age of 83. Tony Kushner, who helped organize the event, said when Sendak worked he had the ability to transform whatever he was facing or feeling. “He made — out of suffering —, sublime works of art.” But it was the sheer fun of just being with Sendak that Kushner said he missed most. 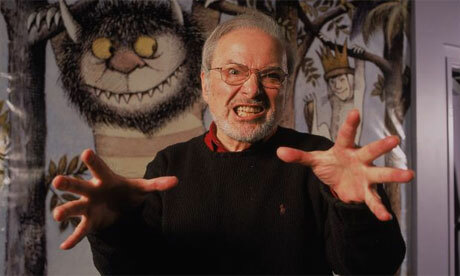 A wicked sense of humor was one of the many layers of Sendak’s personality highlighted by the array of speakers. It was also on display when the lights dimmed for a slideshow of Sendak’s soulful illustrations. “What I found was not someone rigid, but deep with a sense of humor, who was willing to switch from his Mozart music to whatever ‘20s jazz I was listening to,” Art Spiegelman said. Link to Kathleen Horan’s article here. Yesterday, the Guardian published an interview with Taylor Hough, the British editor responsible for publishing Where the Wild Things Are in the UK. She last saw last saw Sendak in December, in the US, where he showed her the pages from the latest book on which he had been working: My Brother’s Book, an illustrated poem inspired by his love for his late brother Jack, which is due to be published next February. Link to David Barnett’s article here. 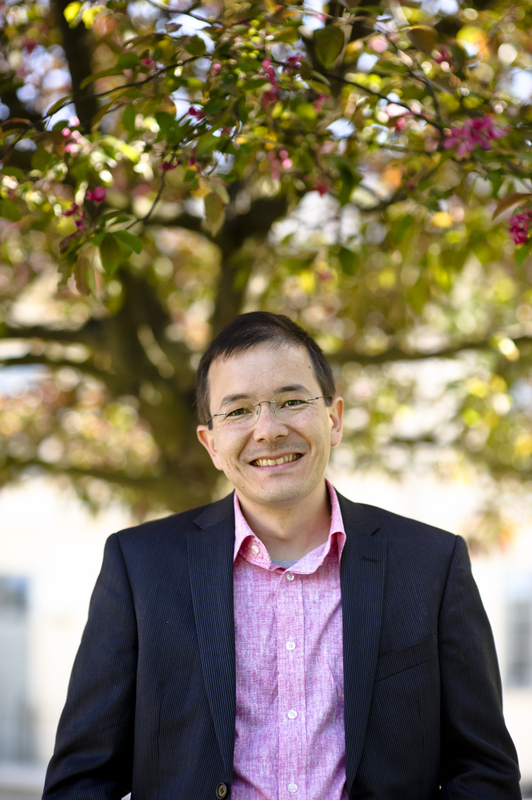 Jessika Karlsson at the Swedish literature blog Bokhora asked last year’s ALMA recipient Shaun Tan a few questions. Dear Shaun Tan. What are you reading right now? A few different things. One is a book of wordless woodcut stories by Lynd Ward produced in the 1930s. I’d never really seen these before although they were mentioned often to me by readers of my own wordless graphic novel ”The Arrival”, and I can see there are many similarities. I’m also reading ”1Q84″ by Haruki Murakami, having read a lot of his other books full of contemporary Japanese surrealism. I was reading ”The Wind-up Bird Chronicle” and ”After the Quake” when writing ”Tales from Outer Suburbia”, so there may even be some small influence there. Do you read a lot of translated literature, and if so, what are your favorites? Murakami as mentioned above – the colloquial style seems to translate well from Japanese to English. I’ve also read quite a few Latin American writers recently, and there are a lot of good French graphic novels and good German picture books. The importance of reading is often debated. Why do you think it is important to read? Having worked across different areas, including film (which in some ways is the dominant storytelling medium of our age) I’m reminded of how unique the experience of reading books can be. It seems much more co-creative, in the sense that the reader must ‘direct’ the story to some extent, and this draws to the surface a lot of personal memories and inventiveness. Reading is one of the best ways of educating ourselves about who we are, what we think, what we care about and the power to imagine an alternative existence. Shaun Tan, ALMA award week 2011. Photo: Stefan Tell. WLT’s managing editor, Michelle Johnson, attended the award ceremony in Stockholm and saw Sweden’s commitment to children’s literature while meeting with Swedish writers, prize administrators, teachers, and librarians. For example, Stockholm has the world’s first library for children ten to thirteen years old and a children’s literary museum. At this museum, Junibacken, children can play in reproductions of the scenes of their favorite books and ride a train through sets of their favorite stories. At the Swedish Institute for Children’s Books, a staff collects children’s literature and makes it available for research. Further, Sweden now has an Ambassador for Reading Promotion, Johan Unenge, who is also a successful children’s book author and illustrator. And for one month in Sweden, anyone who purchases a Happy Meal receives a children’s book instead of a plastic toy, emphasizing literacy (full story in this Telegraph article).